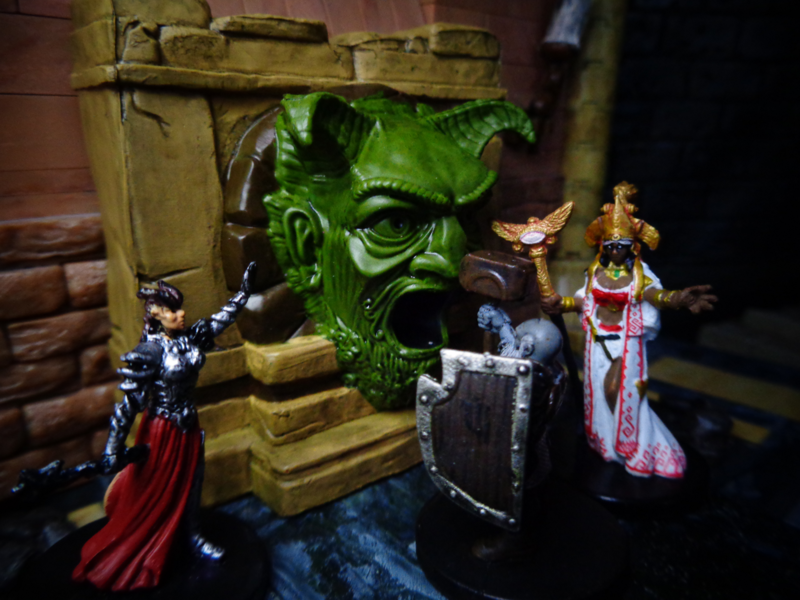 Welcome to the Tomb of Horrors! The Tomb of Horrors, written in 1975, is a Dungeons & Dragons adventure meant to murderlize people. Seriously – Gary Gygax designed it because his son knew how to game the system to be unbeatable, so… he got beaten. It debuted at a convention, and its lethality mixed with its distinct sense of humor have made it an enduring favorite for forty years. 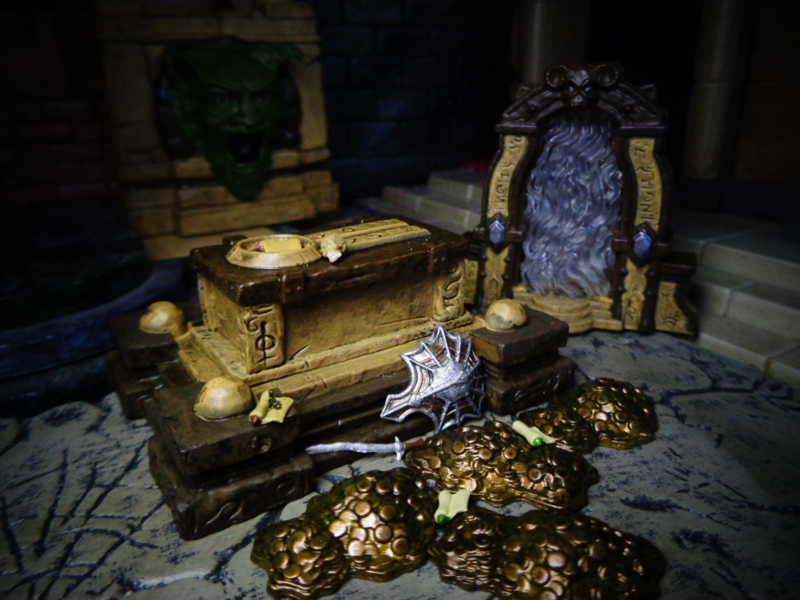 Uh, actually, this is the “Tombs & Traps” boxed set that came with the Tomb of Annihilation D&D miniatures expansion. 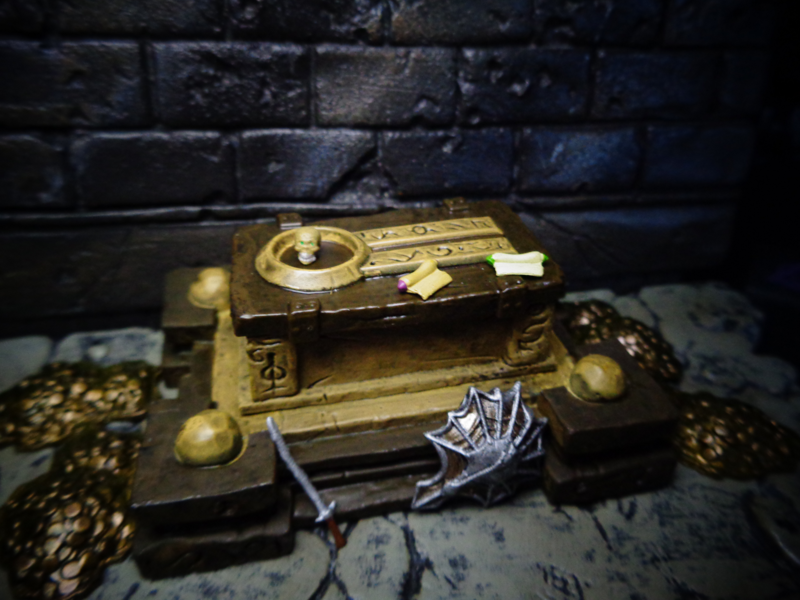 But since Tomb of Annihilation was based on Tomb of Horrors, they included a ton of Tomb of Horrors stuff to make up for it. These pieces are what you get in the set. Anything else is just other stuff I own that goes well with it (or is related, but not part of that set). 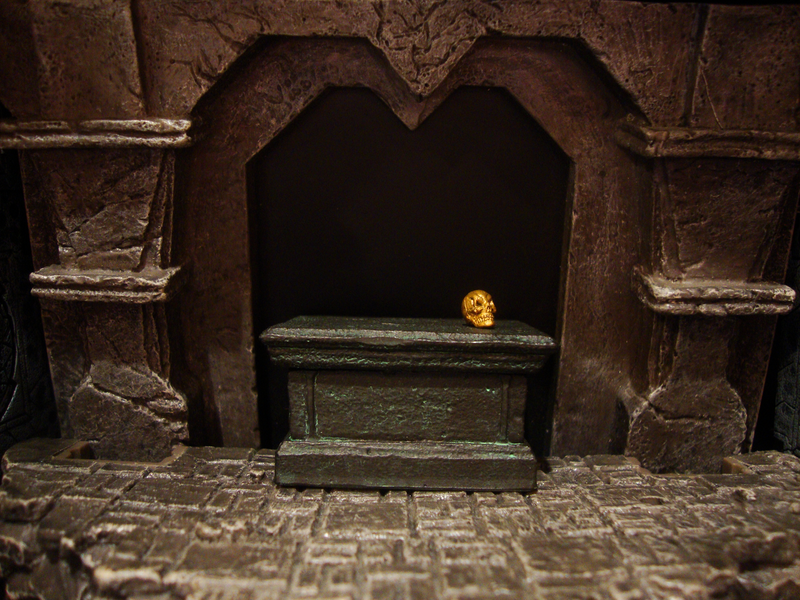 The idea behind the Tomb of Horrors is: Acererak, an ancient undead lich (a lich is basically Voldemort – an undead sorcerer who has trapped his soul inside a separate object, and thus cannot die until it is destroyed) has a tomb somewhere, filled with TREASURE (and super-lethal traps). But as it turns out, Acererak likes to troll people. And troll them hard. Many of the traps don’t even allow saving or dodge rolls – you just die like a Goomba under Mario’s feet. When you finally reach him at the end of the dungeon (after two or three fake Acereraks), Acererak is reduced to nothing more than a skull with gems in the eye sockets and teeth. If you bug him, he starts stealing party members’ souls. Acererak doesn’t have much HP, but there are very few things that can damage him – and you basically have a time limit to figure out what can kill him (and hope you have it) before he just straight-up murders everybody. Although you don’t actually encounter Acererak on a sarcophagus or such, the included one does include an obvious space for him. I can’t emphasize how tiny that skull is – it’s practically intangible! 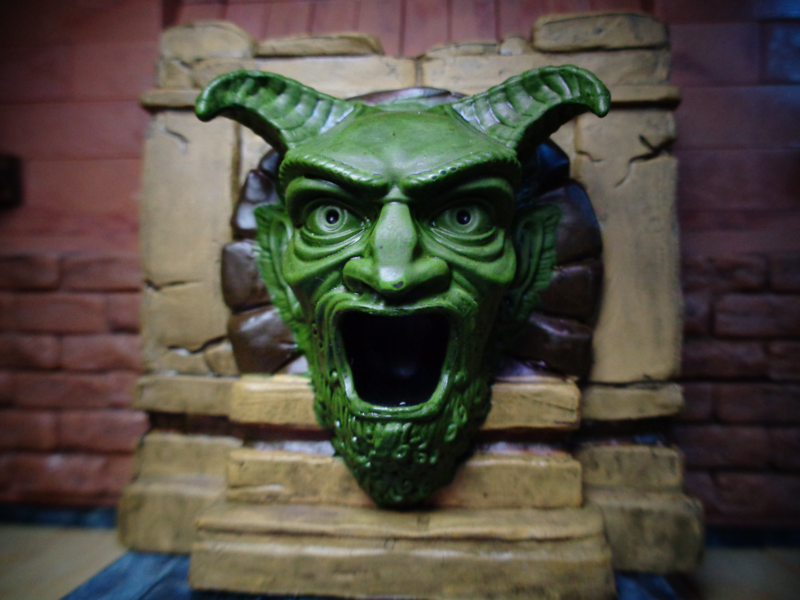 One of the first traps you run into (after the multiple false entrances and nearly-lethal true entrance) is the Face of the Great Green Devil. The mouth is big enough for somebody to put something inside, or even climb inside! You can’t really detect anything aside from some magic, so why not try it? Turns out that inside its mouth is a Sphere of Annihilation, so anything that goes in gets wiped out from existence. Instantly. This trap exists just in case the entrance traps did not make you understand what this dungeon would be like. 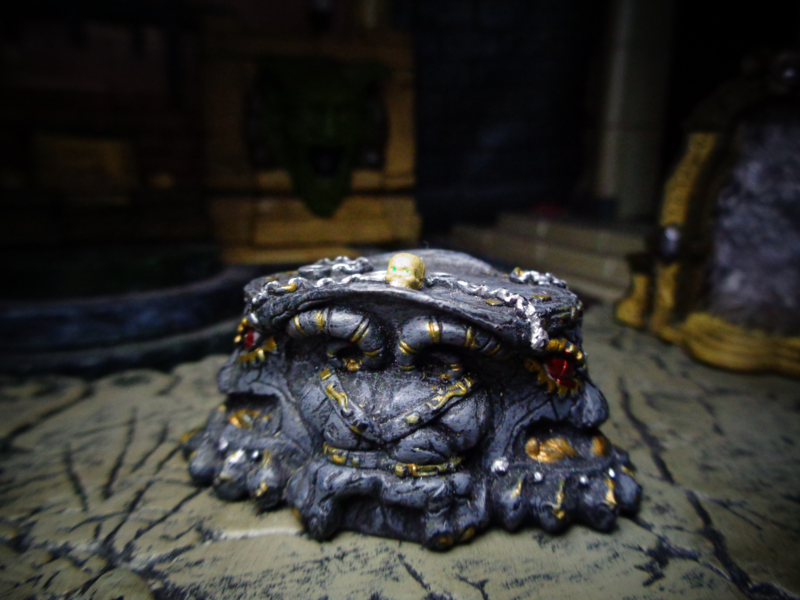 Fun detail – one of the ways to get rid of Acererak is to shove him in a bag and toss it into this face. The Archway is another example of Schmuck Bait. 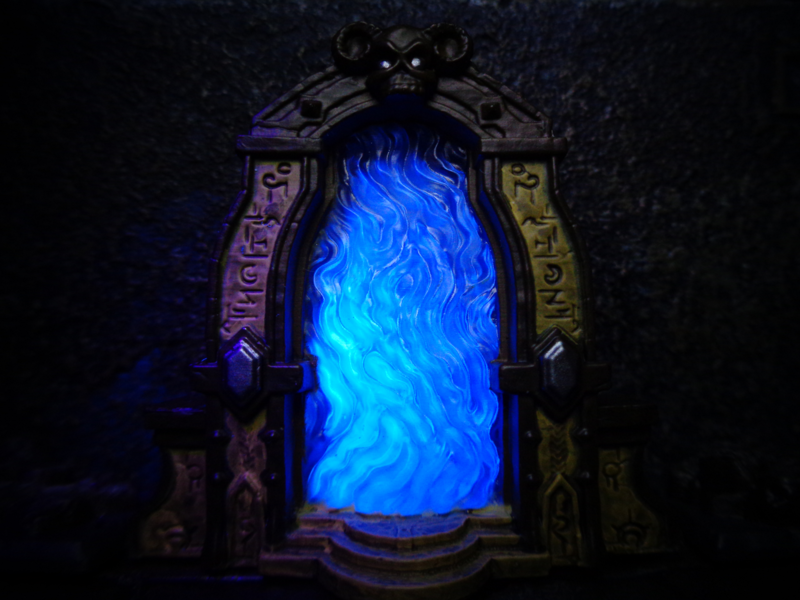 It’s clearly a portal, and it doesn’t annihilate you. So, why not use the portal? 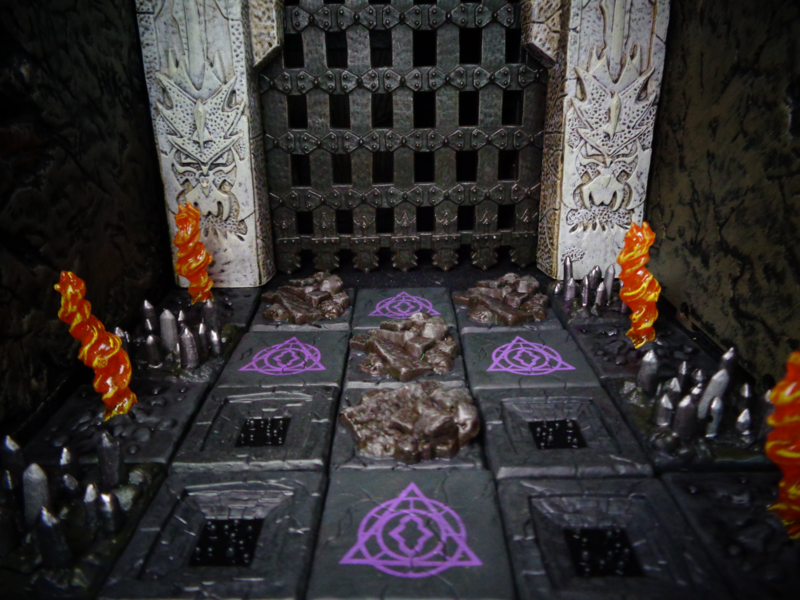 …Because if you go through, it strips you naked, sends all your gear, clothing, and items into Acererak’s chamber, and dumps you in a nearly-inescapable prison cell. Now, there’s another arch in another room – picture this: A large cathedral-esque chapel, with rows of pews that look like they contain money, an altar that radiates a good aura, and an archway with a swirling portal. -The pews spew poison gas. -The altar is not good-aligned, and shoots lightning. -The archway strips you, swaps your gender, switches your alignment (from good to evil and vice-versa), and tosses you back in the room, berserk. 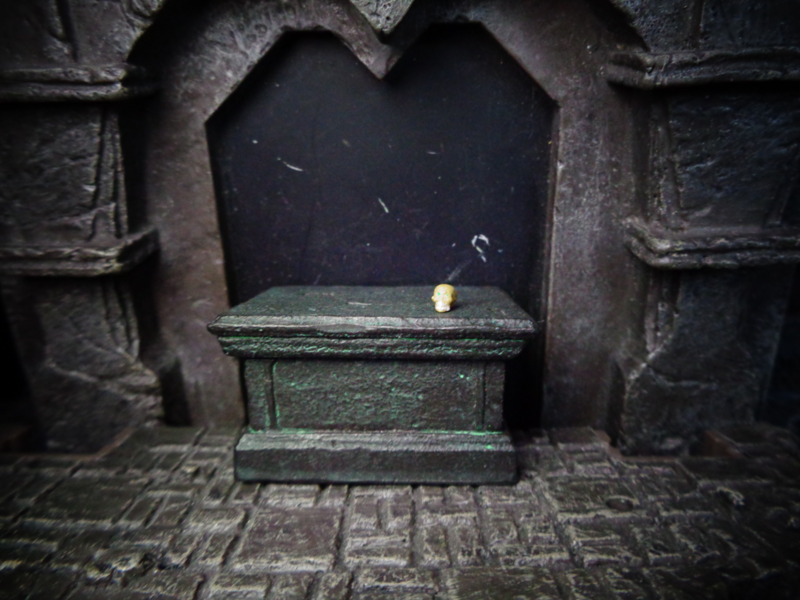 -The actual way out is a tiny slot designed for a magic ring – insert ring, ring gets crushed, wall opens. 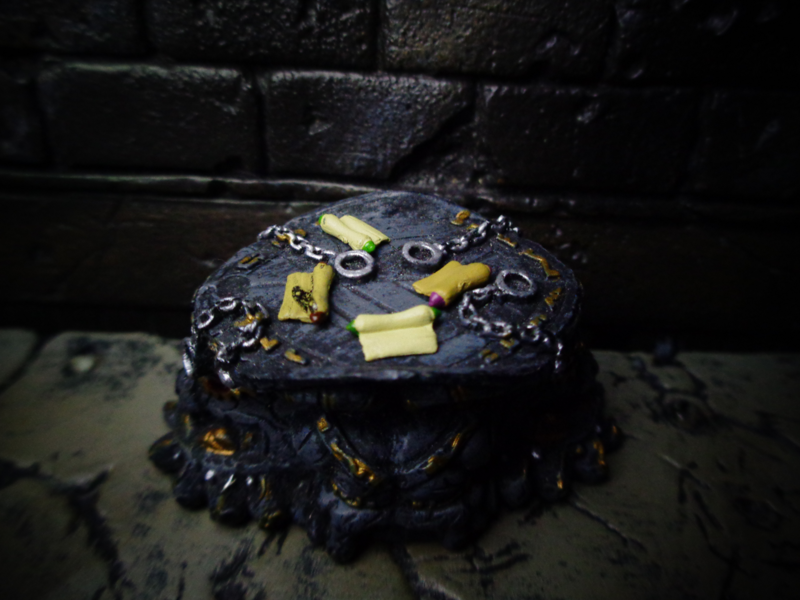 If you do not have a magic ring, one is provided for you in another room, in a box filled with snakes. That is what Tomb of Horrors is like. There are a couple of sarcophagi in the Tomb. 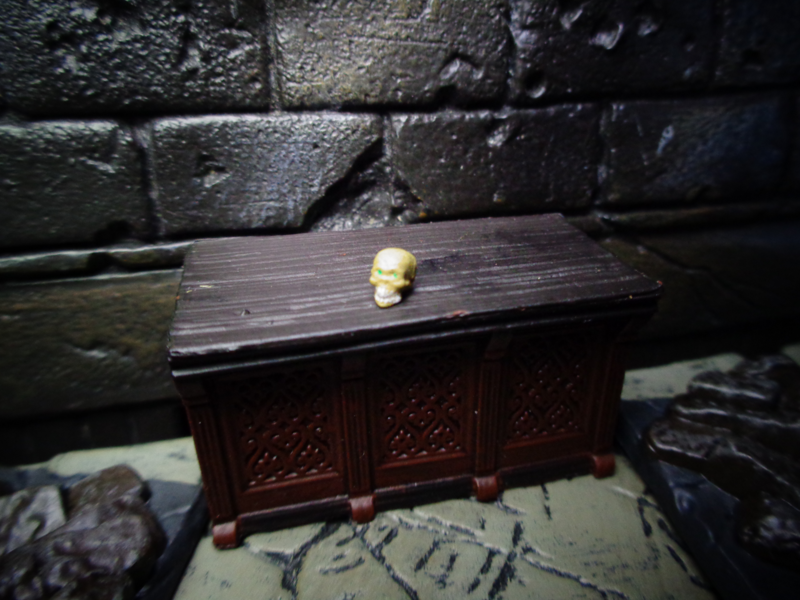 One of them is a fake “Acererak was here, but is dead now” coffin, complete with a smashed skull. Another one contains a horribly powerful mummy. The Tomb of Horrors has very few monsters, interestingly – it’s almost all traps. But the monsters that do exist are basically extremely vicious puzzles, with seemingly-impenetrable defenses, or obscure weaknesses. Even when you’re in combat, it’s “A thinking man’s dungeon,” as the manual actually says. 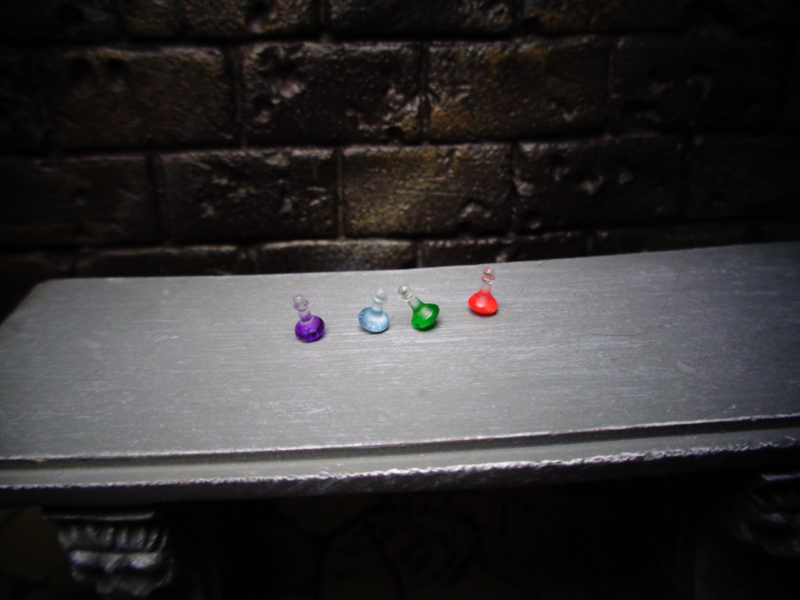 The four potion miniatures are freaking tiny. TINY. Seriously, it takes a DC 17 Dex check to stand them up like this. 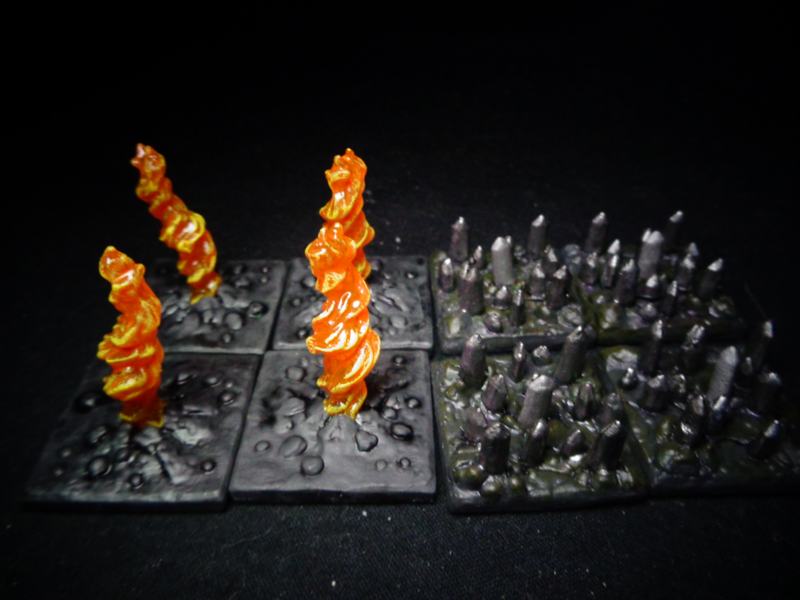 The set also comes with four fire trap and four blade trap puzzles. There is a pit of flames, but traps like this aren’t really a thing – and their construction makes them fragile. 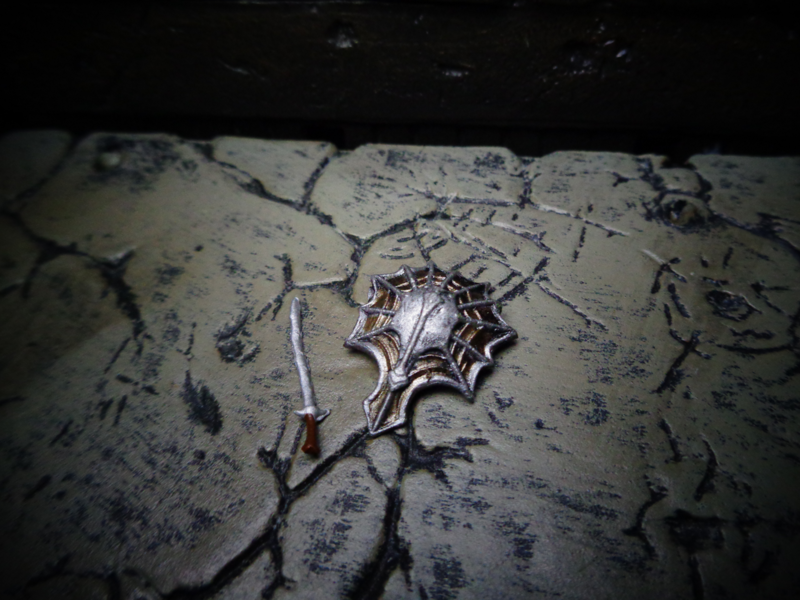 As for the blades/spikes, those do feature in the Tomb, and they are poisoned. And you have to go into at least one to find an appropriate hidden door. 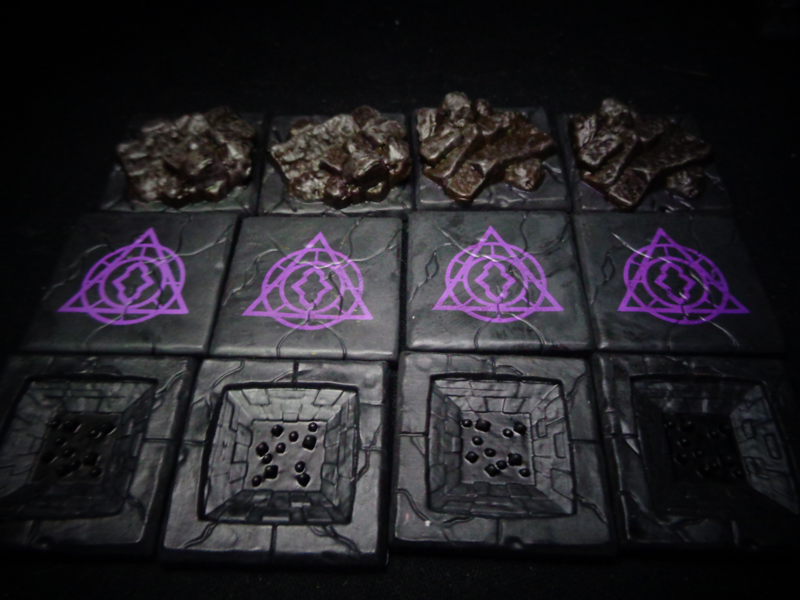 Also included are rubble tiles (there is rubble in the Tomb of Horrors), glyph traps (not featured), and pit traps (pits do feature a lot, ahahaha). But hey, tiles are tiles. Piles of treasure! I’m all for random gold. 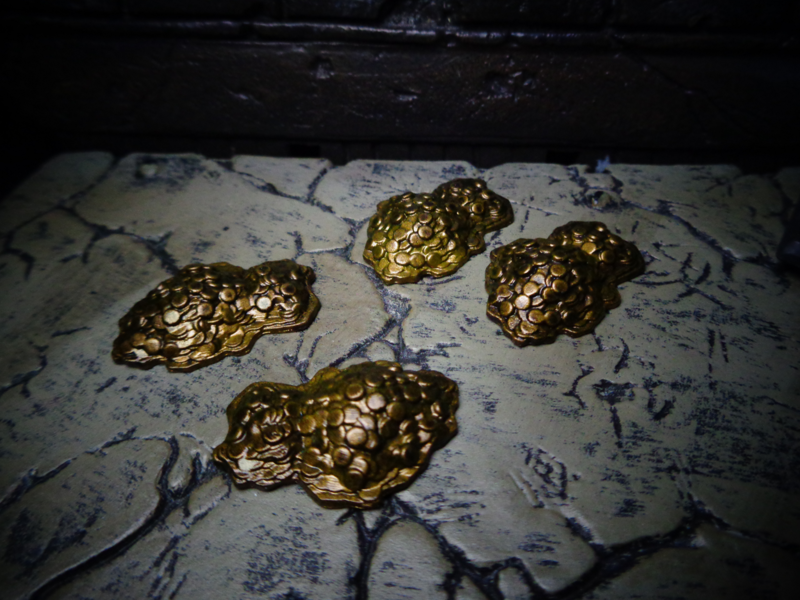 There is a lot of gold and loot in the Tomb, though getting it will probably require the sacrifice of 3d6+3 player characters and underlings. The sword and shield are not items or loot. They are traps – there is a room with a bunch of such pairs, all of which come to life and try to stab you to death. 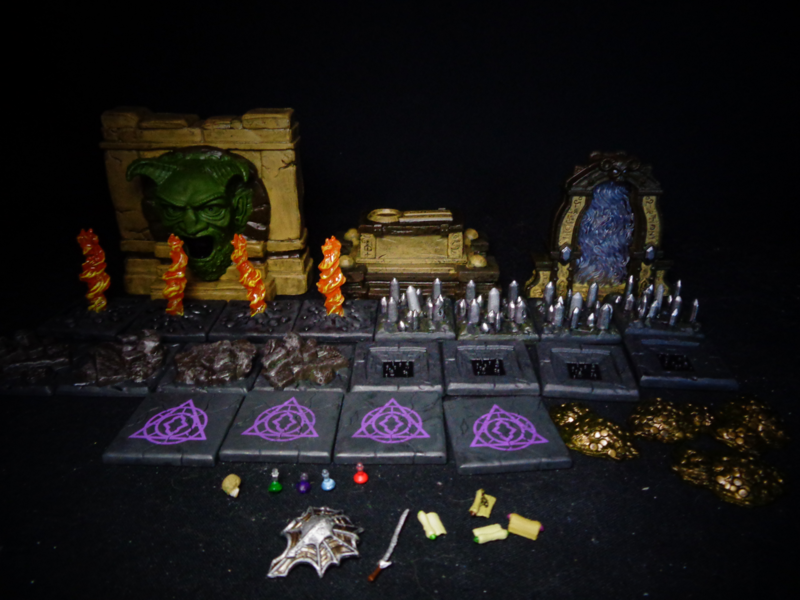 The altar isn’t part of this set (it came from Mage Knight), but those four scrolls are! 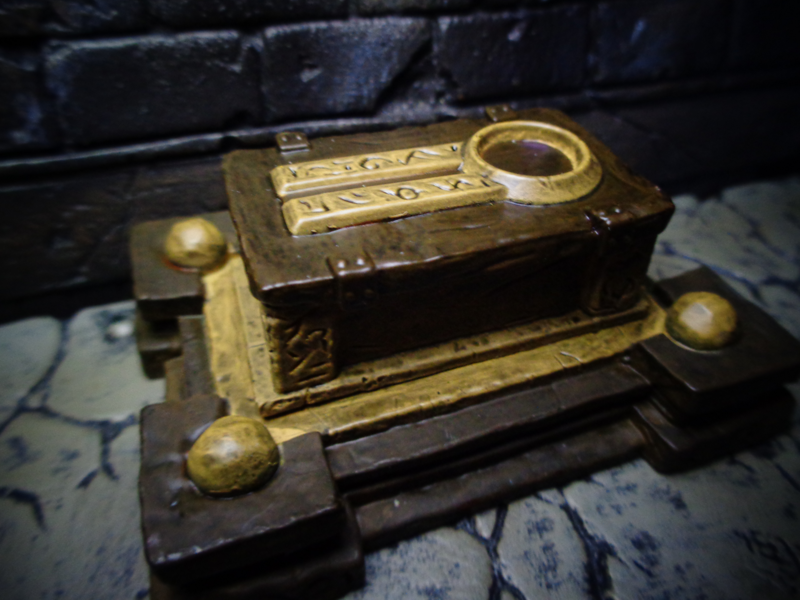 Spell Scrolls are an awesome bit of loot to have, and they are also super-tiny. 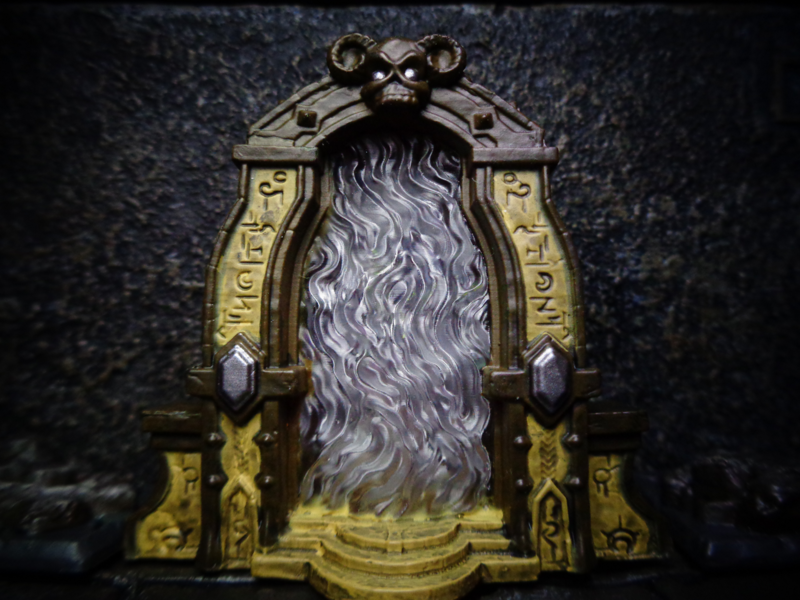 I just like the Mage Knight altar. Here’s Acererak peeking up from it! 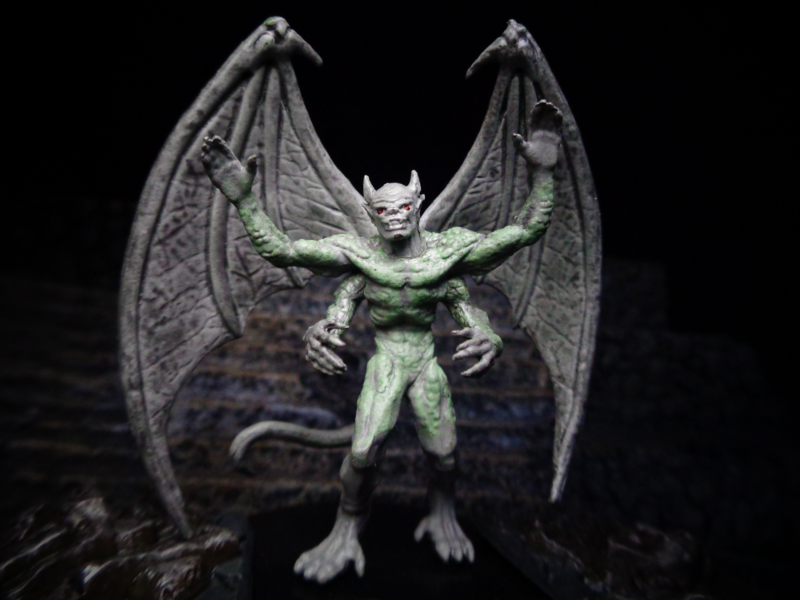 The Giant Four-Armed Gargoyle is another of the tomb’s monsters. It’s big, super-durable, and can hit you a bunch of times. 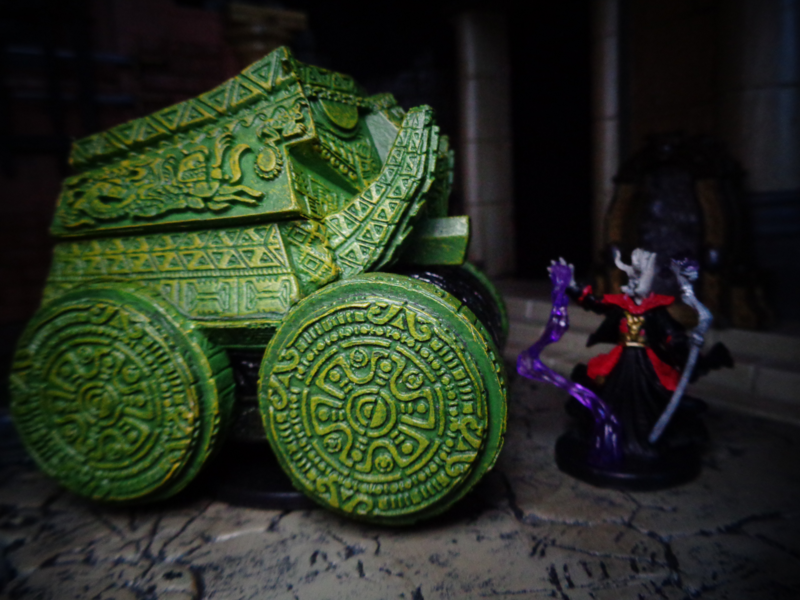 This mini came in the regular Tomb of Annihilation set, which is close enough to this boxed set. There is a room in the Tomb that is filled with sleeping gas. And then in comes a steamroller. Now, there could be anything in there, but… steamroller. Shaped like an elephant. 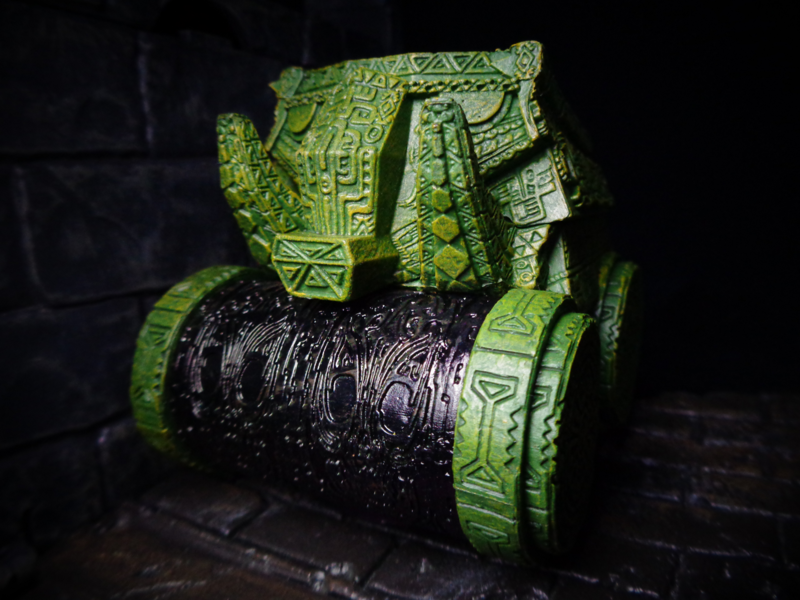 The Stone Juggernaut is another mini that’s in the Tomb of Annihilation minis set, not the Tomb of Horrors boxed set – it looks specifically like the Tomb of Annihilation version, but is quite serviceable both ways. And it’s pretty big. It’s also part of one of the funniest rooms in the dungeon. 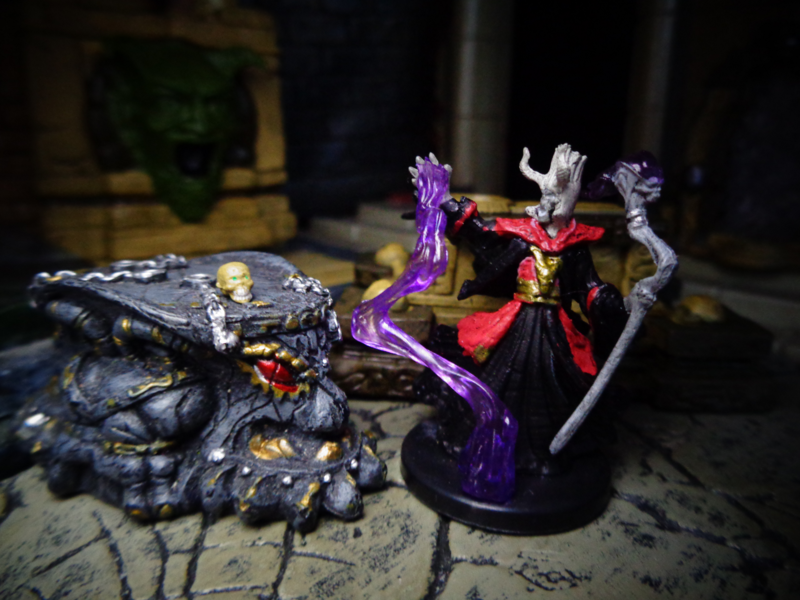 Here it is next to the Acererak-With-Body mini from the same set. See how big it is? That wasn’t Acererak, it was a zombie in a Halloween costume. The tomb did not fall apart. You have to go back inside now, d’oh! Wow, time has NOT been kind to that setpiece! Dang. 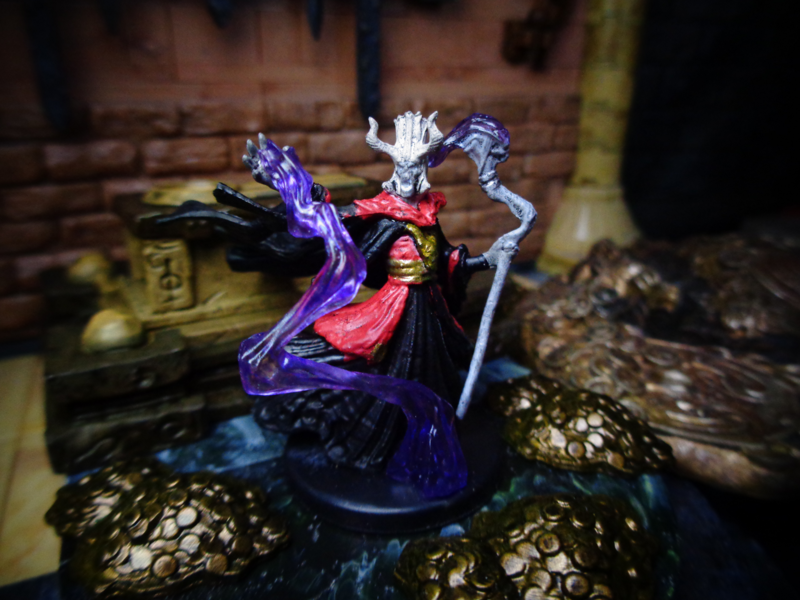 With the Tomb of Horrors kindasorta appearing in Ready Player One (they turned Acererak into a kindly old wizard! Boooo! ), it’s nice to have a brief look at the insanity that started it all.